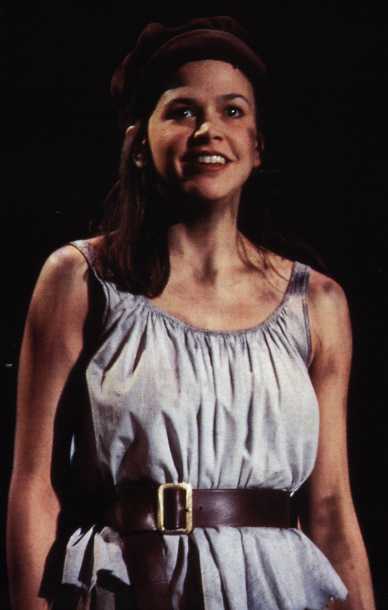 Sutton Foster was featured in the female ensemble and understudied the role of Eponine in the Broadway production of Les Miserables at the Imperial Theatre. She then went on the road with the National Tour and played the role of Eponine for audiences around North America. The national circuit took note of Sutton’s amazing performance, as she perked ears with her powerful melodies and brought to life an original portrayal of this tragic character. 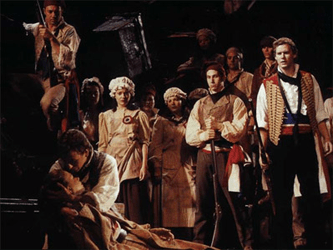 Finally, during the Paris student uprising of 1832, Javert must confront his ideals after Valjean spares his life and saves that of the student revolutionary who has captured the heart of his adoptive daughter. His world-view shattered, Javert commits suicide, and Valjean at last attains the peace he has sought for so long.